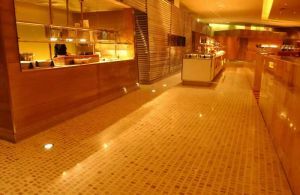 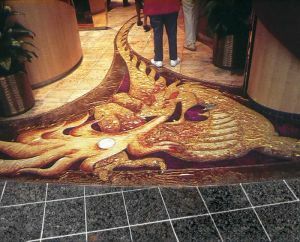 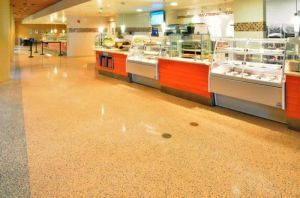 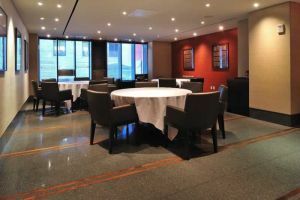 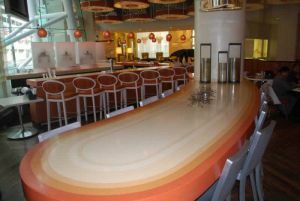 Terrazzo is a natural choice for restaurants. 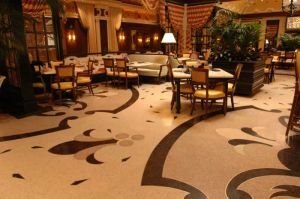 It is non-porous and easily cleanable – there are no grout or carpet stains to worry about. 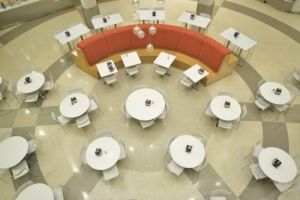 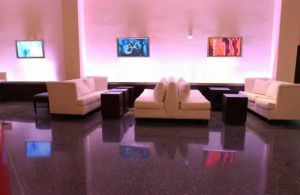 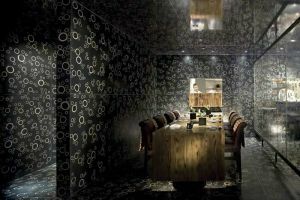 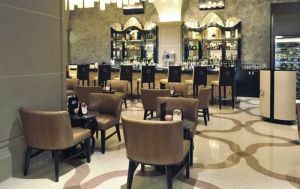 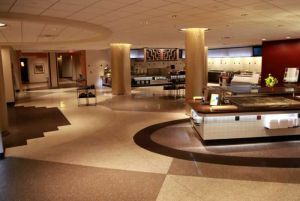 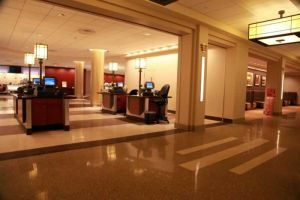 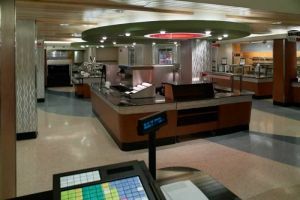 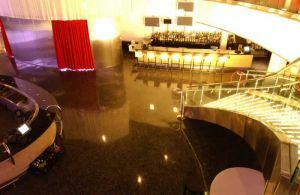 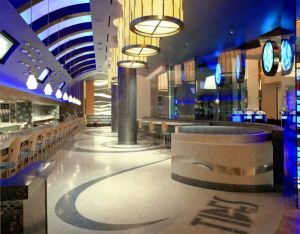 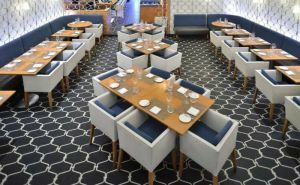 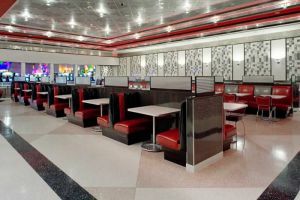 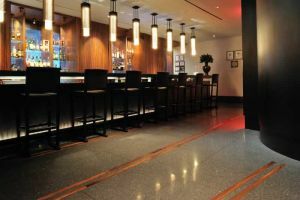 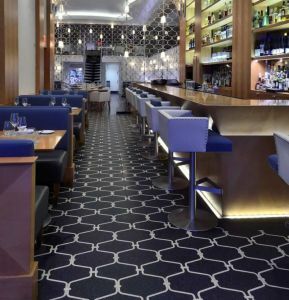 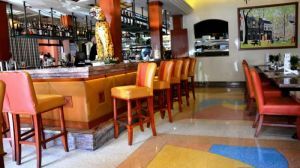 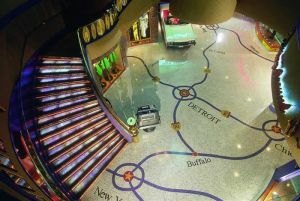 Additionally, utilizing terrazzo in design can immediately impact visitors, by reinforcing cultural culinary themes and offering navigational clues to bar, dining, and other areas within the restaurant.